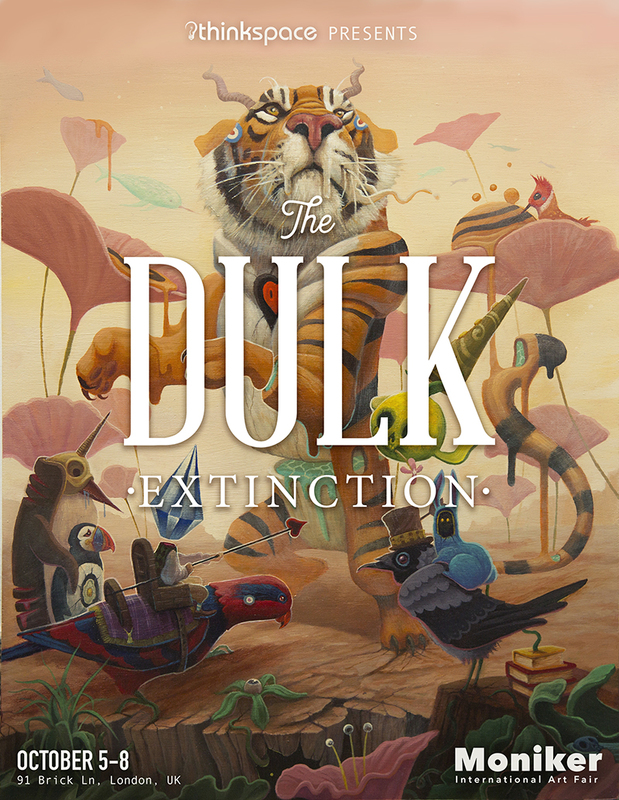 Dulk’s “Extinction” opens at the Moniker International Art Fair tomorrow. A vibrant new body of work from Dulk of surrealistic landscapes full of inspired imaginative details. Dulk explains the inspiration behind the exhibition in a video giving the viewer a peek into his studio and adventures.